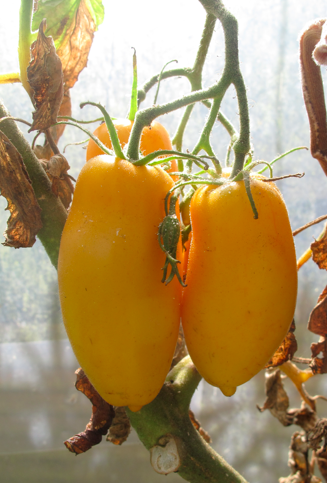 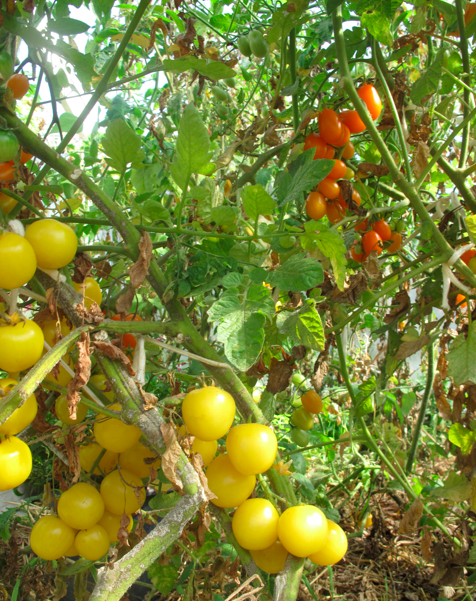 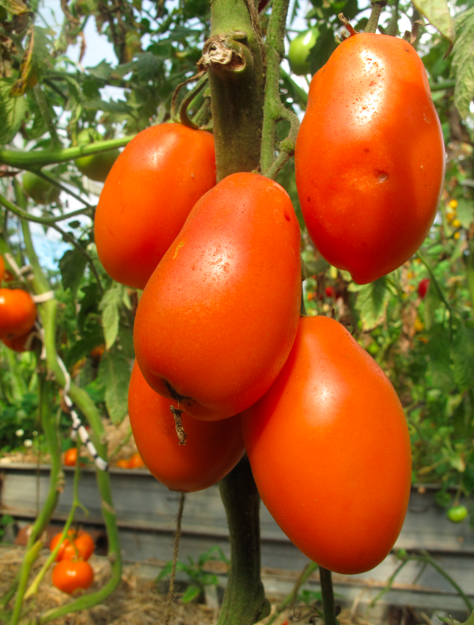 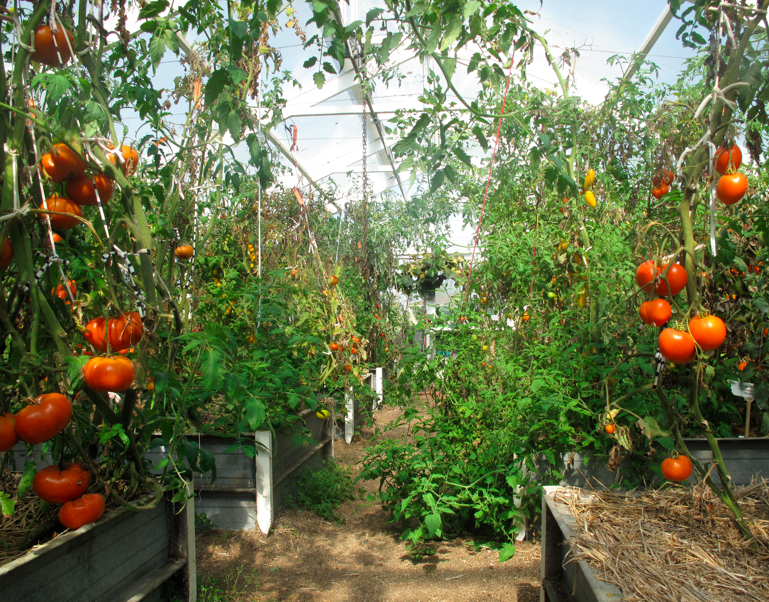 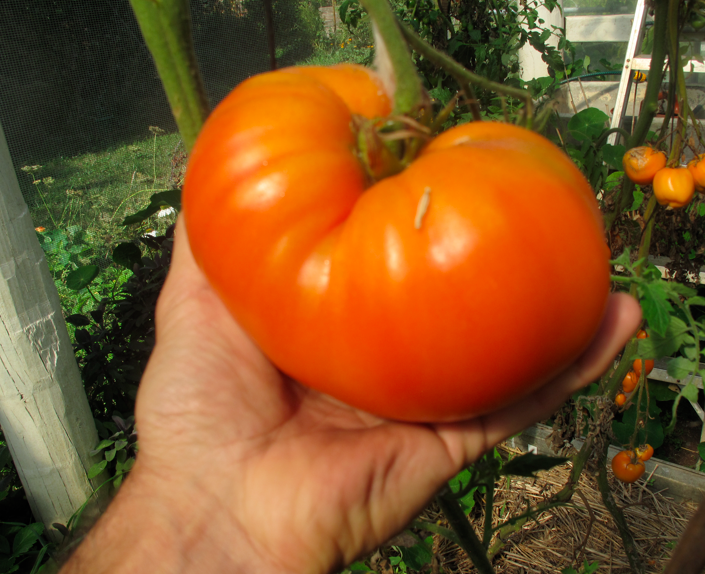 The research is also seeking to determine whether hybrid tomato varieties (and vegetables in general) are nutritionally deficient in comparison with traditional open-pollinated varieties. 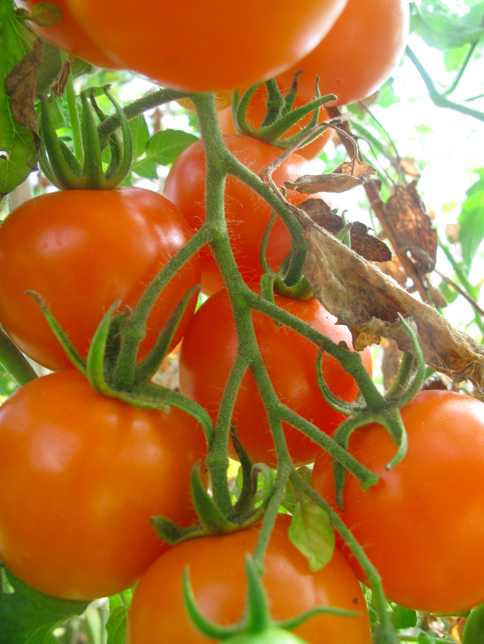 We are delighted to announce a break-through in our understanding about the superior health benefits of specific tomato varieties. 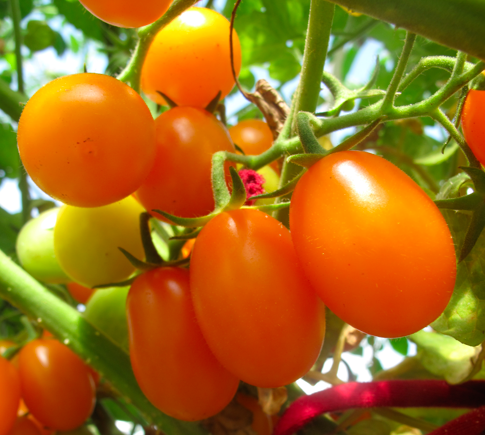 Two types of lycopene can be found in tomato. 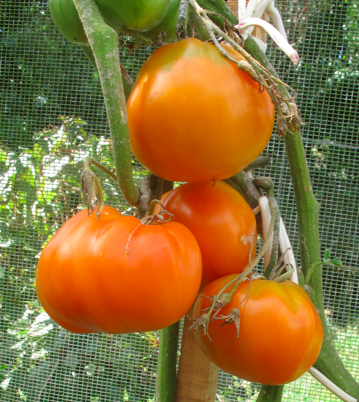 All-trans-lycopene is commonly found in red (and other colour) tomatoes; and tetra-cis-lycopene (also known as prolycopene) is found in some orange heirloom tomatoes. 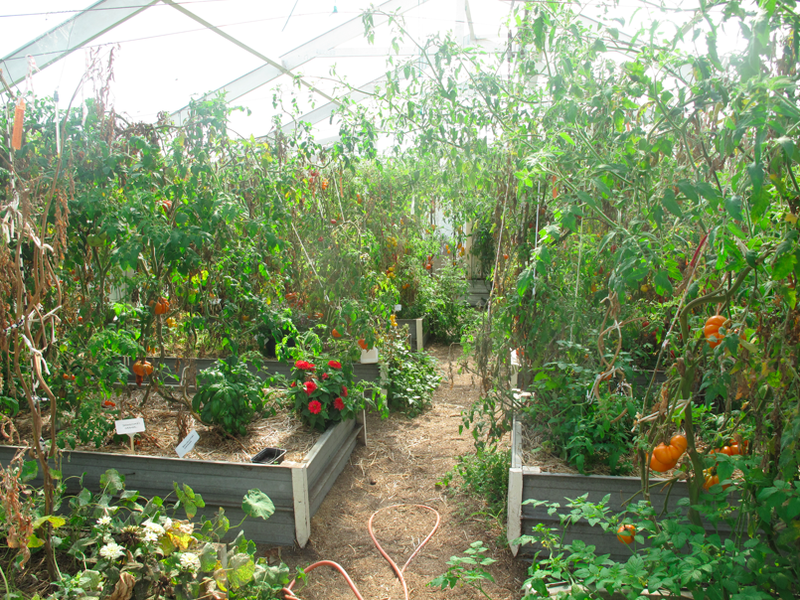 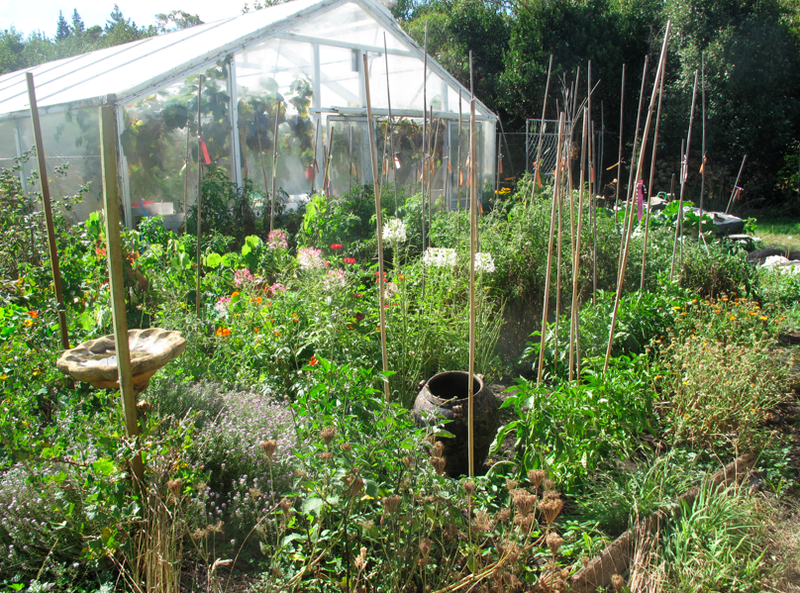 I stopped by to visit him last week, and took pictures around his glasshouse. 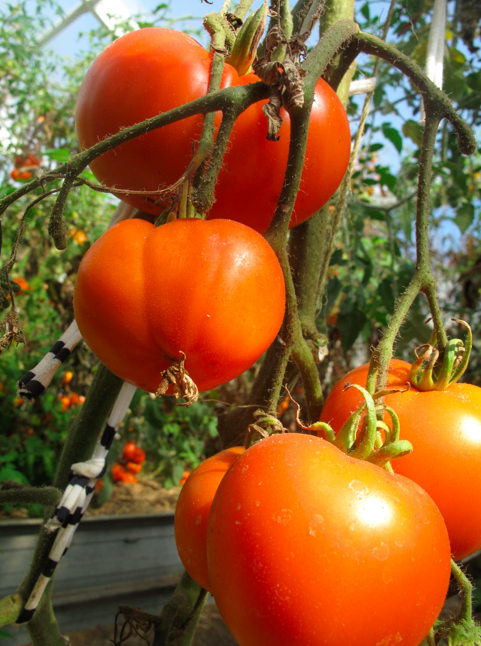 There are some really amazing varieties.